If you’re reading this post, it means that you are planning to visit our wonderful Moldova. 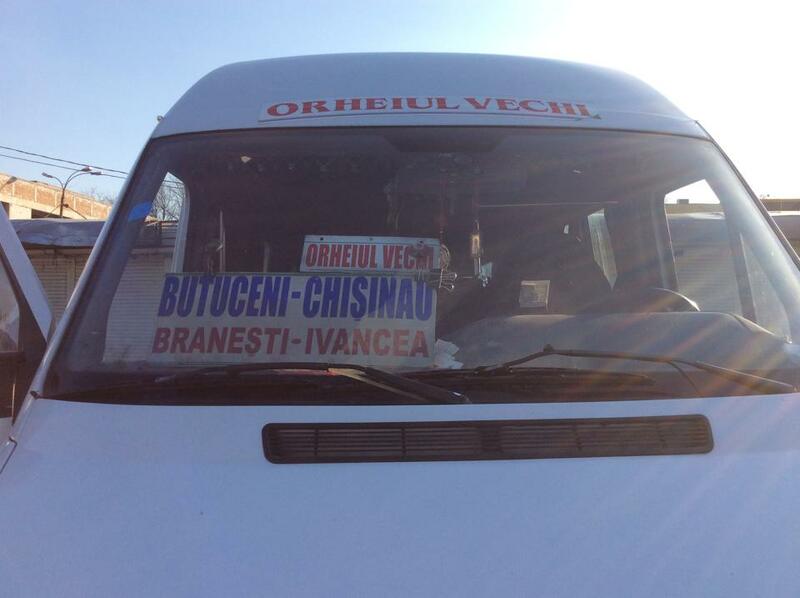 I will try my best to help you get to Vila Roz, Orheiul Vechi as easily as possible. Our guest house is located in the village of Trebujeni, Orheiul Vechi. Orheiul Vechi (in English Old Orhei) is a historical Complex that covers few villages (Trebujeni, Butuceni and Morovaia). For now, we will focus on the journey to this place, but we are open to help you if you have other questions. Feel free to contact us. You arrived to Chisinau, what’s next? If you arrived to Chisinau International Airport you need to get to the Central Bus Station (Gara Centrala Chisinau, Strada Mitropolit Varlaam 58, Chişinău). At the bus station you will find the bus to Trebujeni. By public transit – as you exit the airport, on the right side you will find the mini-bus number 165. It will take you to then Central Bus Station. The ride is 3 lei (MDL). If you have big luggage the driver might ask to pay extra (usually another 3 lei). You can take the mini-bus number 165 from 06:00 – 20:00 everyday. Your should get of at Maraton Market, click here for map. From Maraton Market there is a 7-10 minutes walk to Central Bus Station. By Taxi – at the Arrival Hall of the Chisinau Airport you’ll find a Taxi Office, they can offer assistance 24/7. You can find their rates here: http://www.airport.md/services-taxi-en/. If you call a taxi dispatch, for example, taxi 14222 (in Chisinau taxi phone numbers have the 14*** format) they should charge you about 80 MDL from the airport to City Centre, which is cheaper. We strongly recommend avoiding taking random cabs. This option will cost you more and might be a dangerous experience. Taking a taxi from Chisinau to Trebujeni is also an option, but an expensive one because the fare will include the return way. Rent a car with a driver – we can arrange a driver that will take you from the airport and drop you directly at Vila Roz. Contact us privately for more information. The Central Bus Station is located in the center of Chisinau on Mitropolitul Varlaam Street (at the intersection of the Bulgara and Mitropolit Varlaam street, right in front of the Central Market entrance), click here for map. For information call the Central Bus Station customer service (in Romanian) at (+37322) 54-21-85. You need to take the bus that goes to Orheiul Vechi, Trebujeni or Butuceni. Please make sure you don’t take the bus that goes just to Orhei, you’ll get to the city of Orhei. But you need to be in Orheiul Vechi. Be aware that the area is very busy during business hours, so you should allocate some extra time to find the mini bus. We also recommend that you arrive some 15 to 30 minutes before the scheduled departure in order to secure a seat. The bus has a schedule, you can find it in the image below. The bus will drop you right in front of Vila Roz (let the driver know you need to get to Vila Roz). The ride takes 45 to 60 minutes. It costs 26 lei (about 1.35 euros) and you have to pay at the end of the ride. Please allocate 40-50 minutes for the trip depending on traffic. Google Maps directions are accurate.